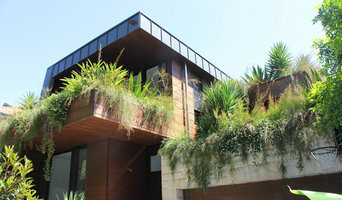 Gaia Gardens is a successful landscape design practice based in the leafy Northern Suburbs of Sydney. We specialise in the preparation of landscape documentation for development applications and landscape installations. Our desire is to combine your aspirations with our design experience to deliver unique and practical landscape solutions. Venation Landscapes offers a comprehensive Landscape Architecture package to its clients, following through to full implementation of the design in soft and hard construction as well as a fully qualified horticulture team. Rowlands Landscapes has been building and designing gardens for the last twenty years. Working with a team of experienced and tenured professionals. Rowlands Landscapes has the commitment and know-how to create the perfect outdoor space built for you, your project or the local environment. With each assured to flourish for decades. Rowlands Landscapes also works with landscape designers and architects to provide clients with all the services needed from design, build and maintaining your new garden. The Rowlands team approach each project with enthusiasm and dedication and bring to each garden their skills, knowledge and expertise; built on years of experience and creativity. The Jardenist.com.au is your online assistant to help you create the perfect garden yourself (or with a bit of help). We can support you in your project with all the information and knowledge you need, from the right plant selection to the overall design, including style and practicality. Innovative landscape architecture ,horticulture and project management of construction by a team of professionals with over 25 years of practical experience in design and construction. We focus on delivering stunning designs using only quality materials in order to provide results that look amazing for years and years to come. Elegant outdoor design is a professional landscape design company, which take pride in their work, developing outdoor design spaces to fit in with your lifestyle and budget. They are based in Sydney's north, servicing the Sydney metropolitan area. Offering a wide range of briefs, the landscaping designs range from roof top gardens, small courtyards, and residential homes through to strata commercial properties and new developments. Garden designs can include swimming pools, alfresco dining, water features and children's play spaces. Most importantly the garden is for you, therefore 'Elegant Outdoor Design' works very closely with you to make sure your vision becomes reality. Offering affordable custom landscaping options using native and imported plants. 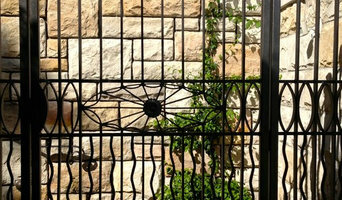 Scape Design is a young, creative and motivated design team based on Sydney’s Northern Beaches. We specialise in delivering imaginative, high-end Landscape Architecture and Urban Design projects for our clients. 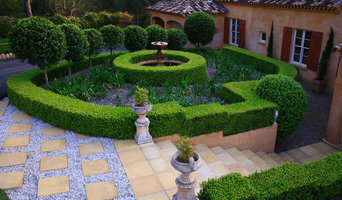 Specialising in the residential landscape market Valley Garden Landscapes PTY Ltd are establishing ourselves as one of Sydney’s most sought after landscape contractors. As a member of the Australian Institute of Landscape Designers and Managers (AILDM) Valley Garden Landscapes led by director Alex Haskey, pride themselves on excellent client communication, innovative design and a quality of construction that exceeds our client’s expectations. Alex Haskey with over 15 years’ experience in the landscaping industry both in Sydney and London comes with a wealth of knowledge and expertise. Alex studied and gained a BSc (Hons) in Landscaping and Garden Design. From there having gained valuable practical experience he joined Capital Garden Landscapes London as Head designer and landscape manager. In this role he won numerous awards for design and construction (see awards page) and garnered invaluable experience in designing and managing high end London projects for the five years he was there. Having met and married his Australian wife he moved to Sydney where he joined Green Rooms Gardens and Landscapes as Senior Designer. Four successful years in designing and managing projects all over Sydney mean that Alex now has an almost unique knowledge bank from his previous experience. Alex is passionate about creating functional spaces with a timeless appeal while maintaining work schedule and fully maximising his client’s investment. Client relationships are important to Alex and he is with them through every step of the landscape process from initial on site consultation to the final hand over at the end of the project. Valley Garden Landscapes specialise in quality not quantity. Read about our garden design process here. By providing high quality residential landscapes, Iconic Design & Landscaping has been a trusted partner of homeowners in and around Sydney. Under the energetic leadership of Nathan Boutros, a team of experienced architects, horticulture specialists and landscapers have worked together towards changing the way Sydney Landscaping used to be, creating numerous perfect client-centric landscapes. When it comes to solving garden problems, enhancing outdoor spaces, and adding practical elements, Iconic Design & Landscaping have approaches and fresh ideas to undertake any outdoor area. This is why we’ve gathered great landscaping solutions for bringing in nature into your yard. We consider every landscaping project, be it big or small, an opportunity to create inspirational living spaces. Our techniques are superior, our designs unique and we have a team of skilled individuals who can transform your surroundings into a magical world. We work towards creating that perfect affordable outdoor living space to make the whole experience a rewarding one for our esteemed clients. Inspired by the lifestyle and preferences of our clients along with our love for original designs, Iconic Design & Landscaping has a perfect landscaping solution for everyone. Pod Landscaping, established in 2000, have grown with a reputation of Horticultural excellence, workmanship and a dedication to the sustainable garden environment. Imperial Gardens Landscapes is one of Australia's premier Oriental garden design companies. With over 30 years of experience specialising in the design, construction and project management of Oriental gardens and water features. IGL has developed methods of blending eastern & western design & construction. The latest technology is used to achieve classical gardens of the highest quality.